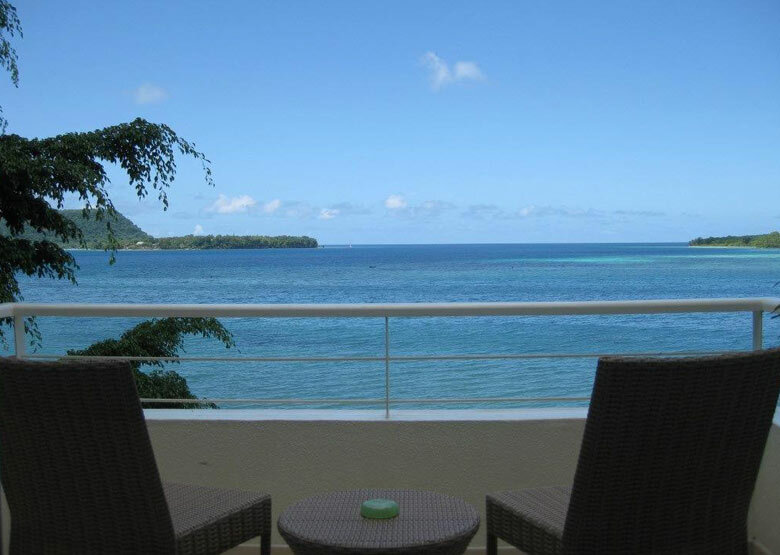 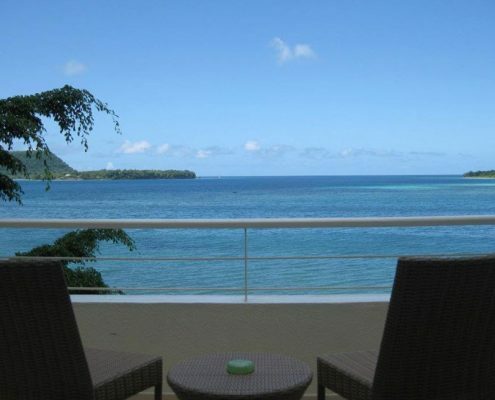 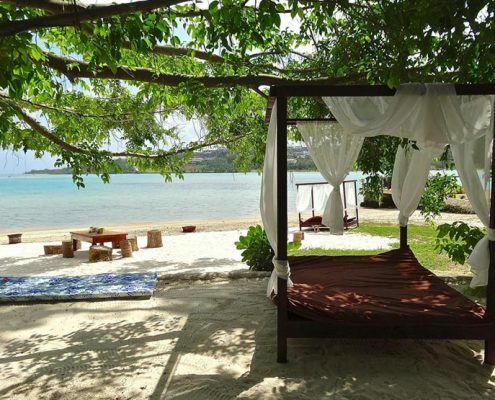 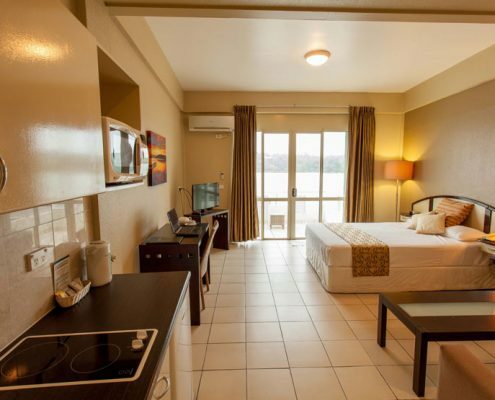 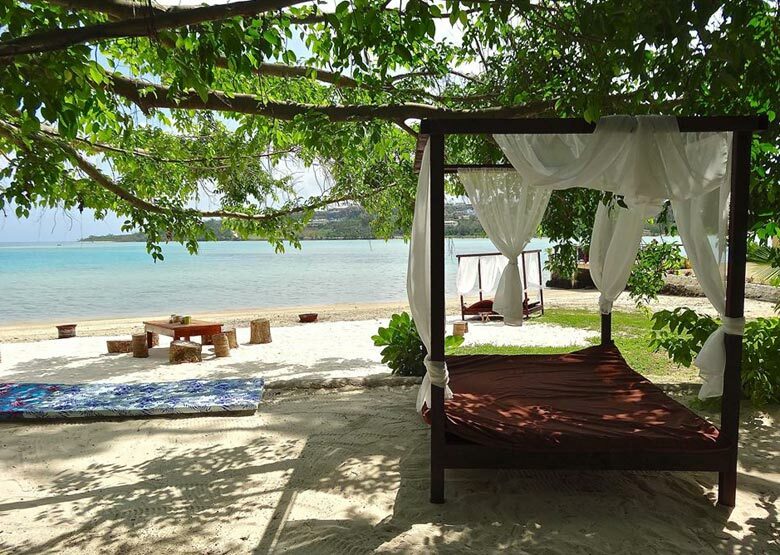 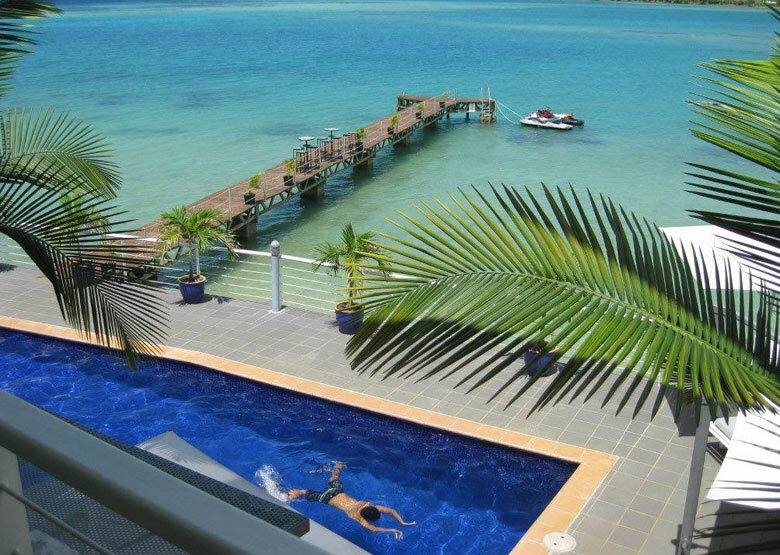 Situated at Fatumaru Bay overlooking the harbour, this Vanuatu boutique hotel is a 5 minute flat walk from the centre of town and conveniently located for all your needs. 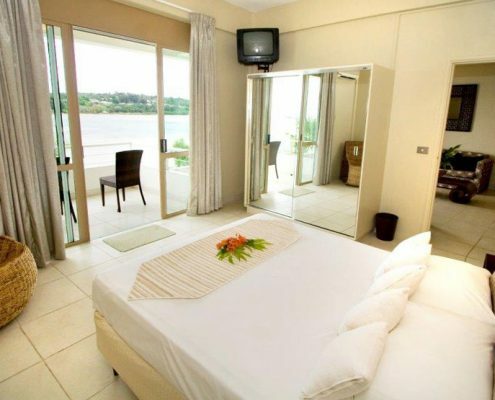 All rooms are self-contained with modern décor and offer spectacular views across the harbour from private balconies. 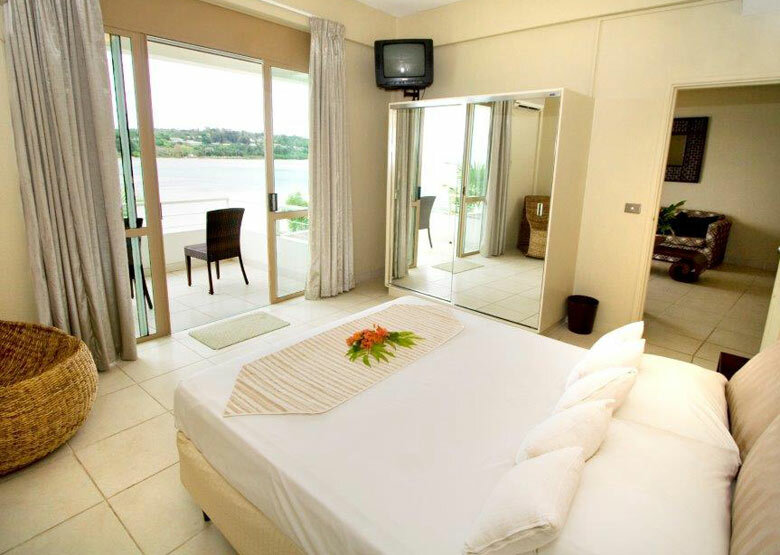 Tilly’s Restaurant is open daily from 7am till late and specialises in tapas and an extensive a-la-carte menu. 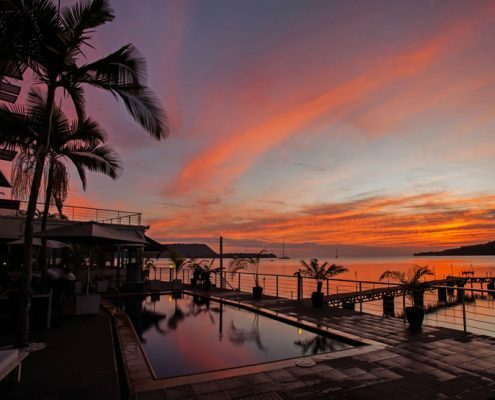 The bar has a wide selection of beers, wines & cocktails. 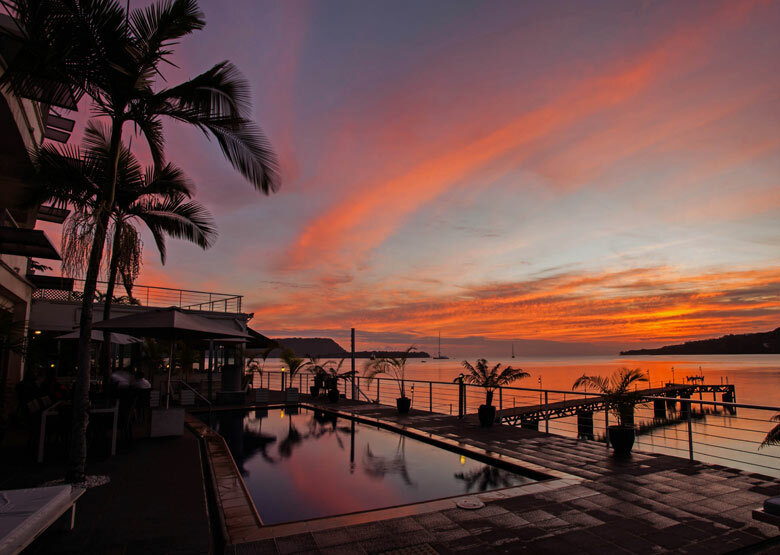 Dine in seasonal air-conditioned comfort, alfresco on the balcony, or enjoy a romantic dinner for two on the jetty watching the spectacular sunset. 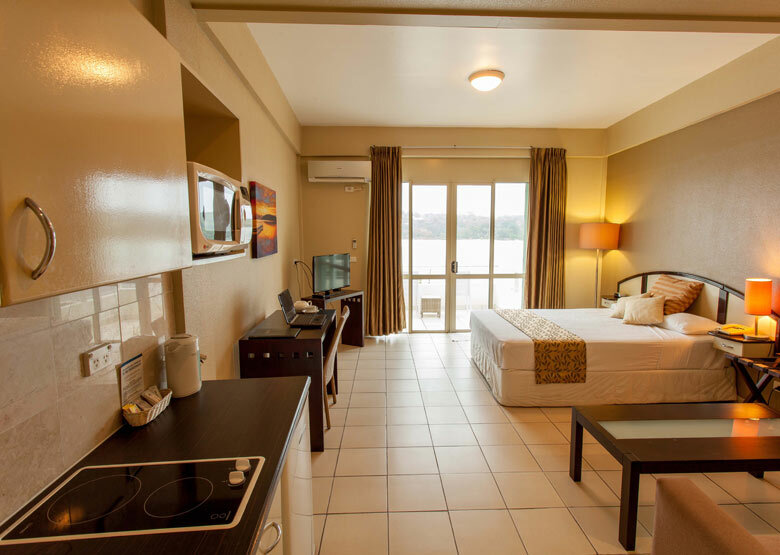 All rooms feature: kitchenette, air-conditioning, ceiling fan, satellite TV, DVD play (on request), IDD phone, tea/coffee making facilities, hairdryer, iron & ironing board, broadband internet access, balcony with 180 degree views of the bay.